Volunteers make this event possible! Become a Volunteer! Click here! Volunteer registration is still open for PiBotic team members! We cannot guarantee Maker Ambassador t-shirts for any volunteers who register after April 22. Become a 2019 Maker Expo Ambassador by volunteering at the 2019 event! Volunteers make this event possible! Click the button above to sign up as a volunteer for this year's event! So what do volunteers do? Volunteers help organizations set up and take down booths, help with ticketing, directing foot traffic in the building, answering questions about the event, and even with the music and announcements! At the event, a volunteer coordinator will direct each person to his/her designated role and will help you to get started! What is included as a volunteer? 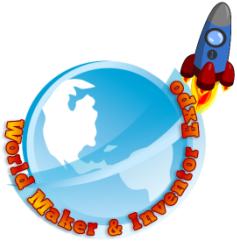 Not only do you get to help as an ambassador for the event, but you also receive free admission and an exclusive Maker Ambassador t-shirt!